I became curious about my internal reaction to this question: I felt very uncomfortable. 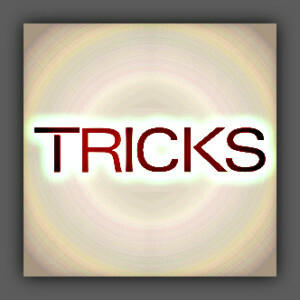 Trick (n): a cunning or skillful act or scheme intended to deceive or outwit someone. Regardless of his intent, it illuminated a simple truth: we live in a world that values persuasion and manipulation for the benefit of personal gain. I have discovered however, that when we profit as a result of deceit or trickery, we will always experience a net loss: our character. My suggestion: Don’t implement tricks! Implement truths! Focus on character: commit to the practice of exercising the highest version of yourself at all times and watch your life flourish. You won’t have to convince anyone of anything because they’ll become increasingly convinced of you!